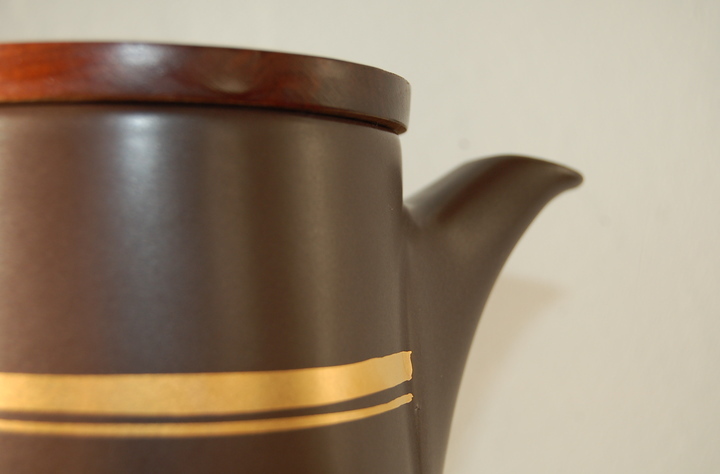 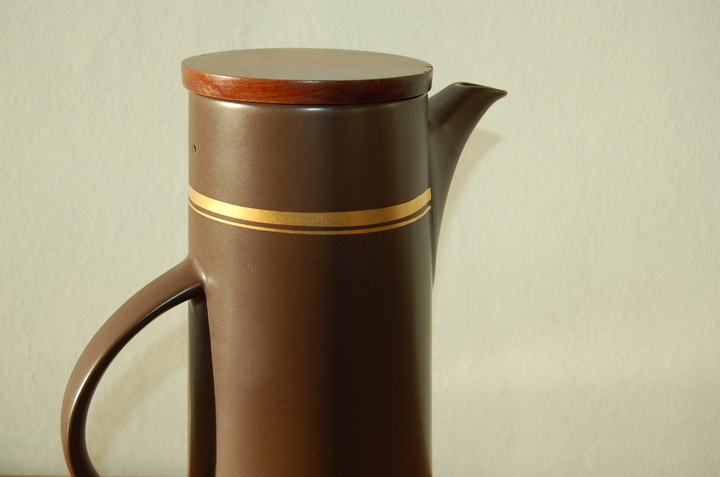 Very stylish, unusual dark brown coffee pot with gold stripe and teak lid. 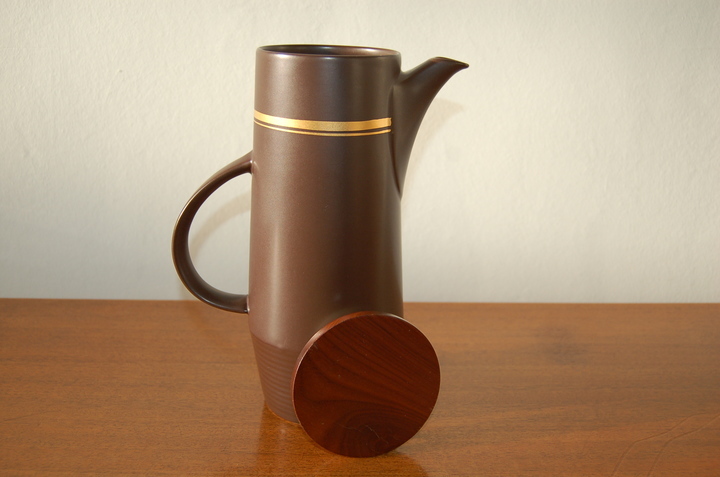 Exceptional 'Toast' shape, manufactured by Purbeck Pottery, tapered to base with neat spout and graceful curved handle. 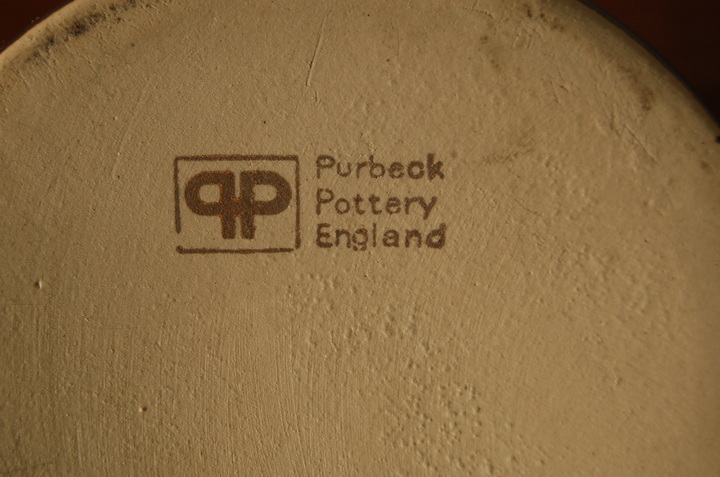 Mark to base.